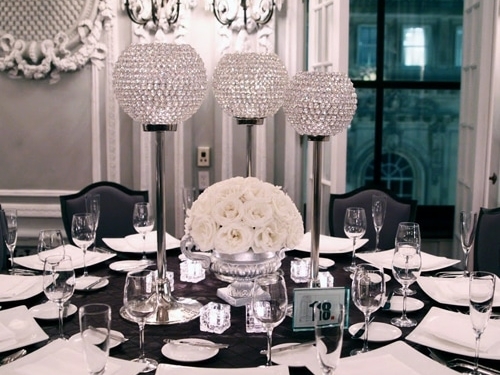 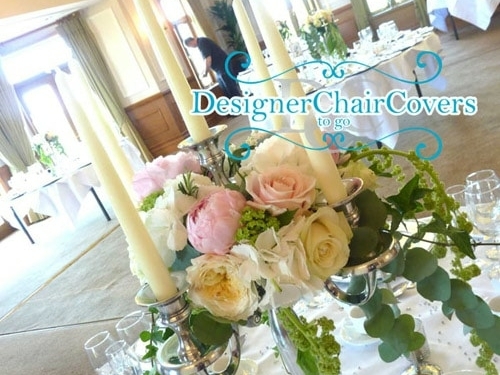 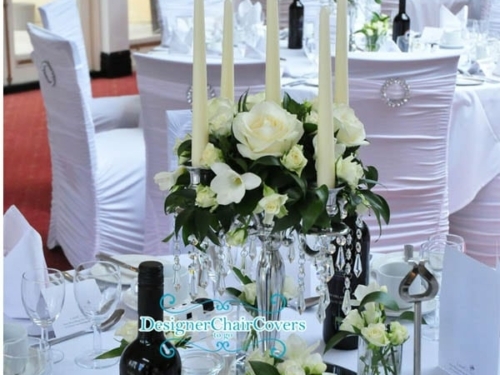 These centrepieces are in our first tier of centrepieces. 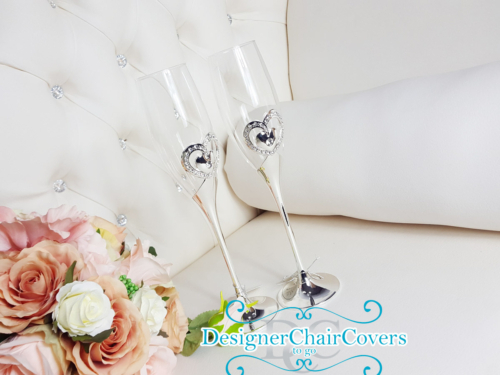 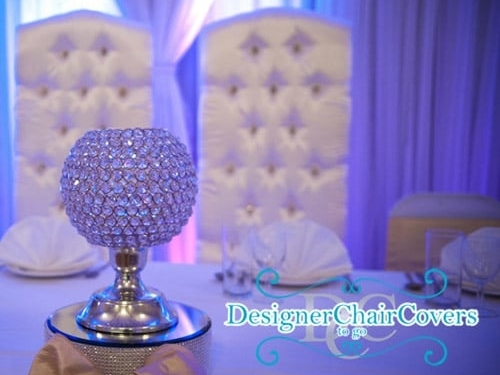 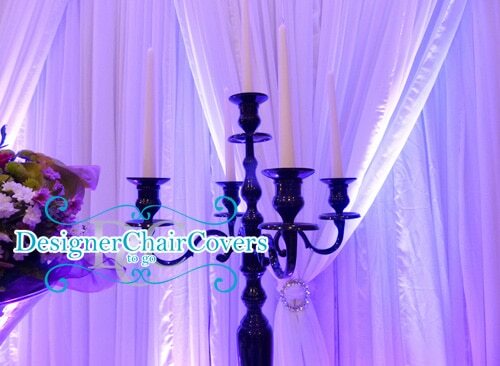 We use these items that still look pretty but help those with over 20 tables to have a complete room filled with decor. 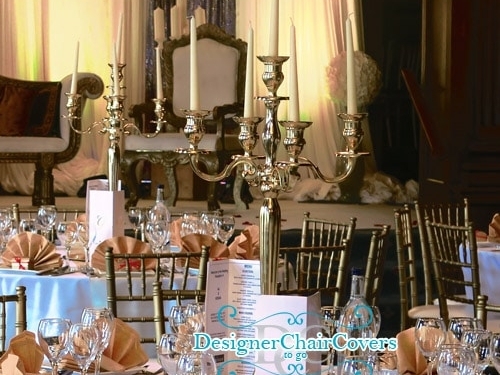 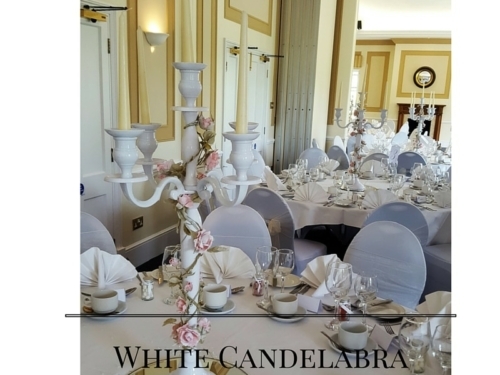 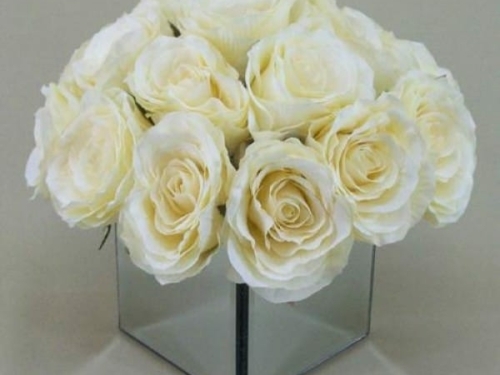 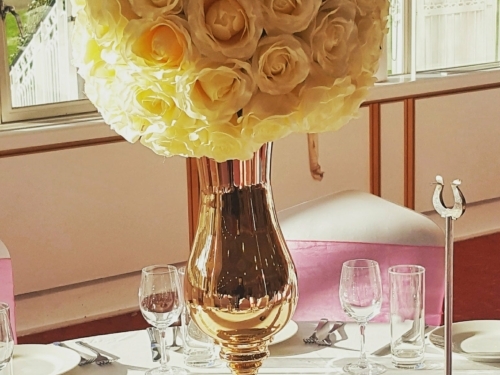 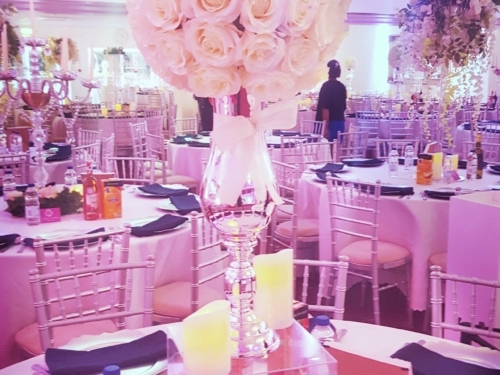 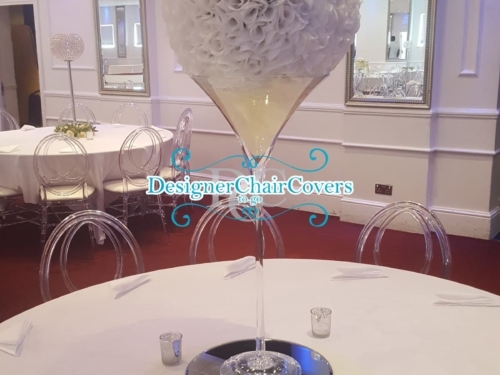 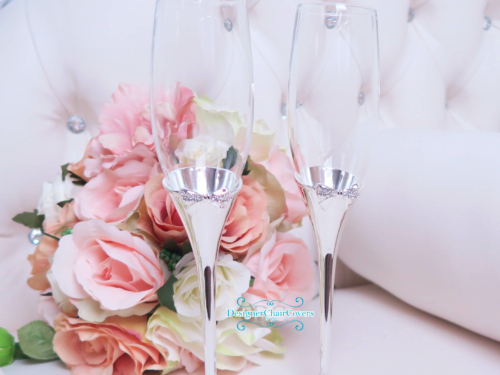 A mix of candelabras in your colour scheme, trumpet vases with rose balls and vases with smaller floral arrangements are fantastic options for the tables to mix in with the statement arrangements.